This timer was originally developed for use with 36 inch hi start classic gliders, but will be of interest to all sports free flight flyers not requiring motor control. 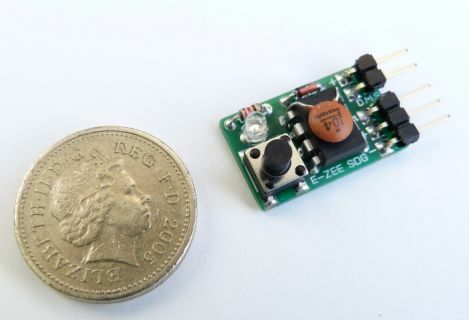 The timer drives a D/T servo to terminate the flight, the D/T periods being set by a simple push button / LED interface. Driven by a small 30mAH battery and using a 2 gram servo the avionics can be used as nose ballast so there is no overall weight gain. Reliable control of the DT period allows frustration free flying and saves a lot of downwind recoveries for tired legs. •	duration settings are saved in memory a single button push serves to repeat a flight. This page was printed from www.densmodelsupplies.co.uk on Monday 22nd April 2019 at 11:58 pm.